Have the convenience of an extra tray loaded with medications for your e-pill MedSmart or MedSmart PLUS Automatic Pill Dispenser. Each tray comes complete with cover. 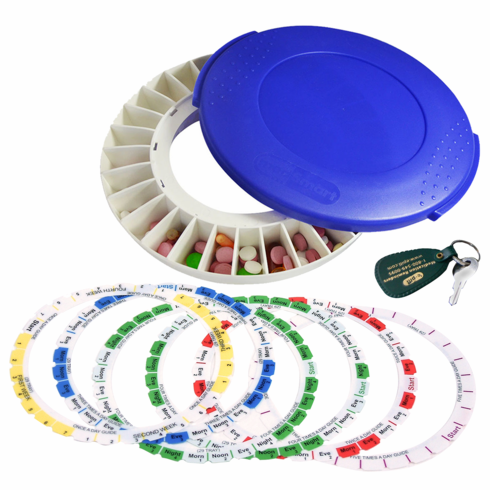 The Medication tray has 28 compartments, each can hold several pills (each compartment has a capacity equal to 20 Aspirins). NOTE: This spare tray fits ONLY e-pill MedSmart or MedSmart PLUS.